Clients who use our certification services are positioned to succeed in new markets. We provide tools, experience, and skills to develop tailored food safety programs to meet the challenges of any domestic or international food safety protocol, program, or audit. We have the tools and technologies to customize a program which will work within your facilities’ goals and abilities. Protocols include, but are not limited to, the areas of: employee hygiene and safety; Standard Operating Procedures (SOPs); Standard Sanitation Operating Producers (SSOPs); Good Manufacturer Practices (GMPs); Good Agriculture Practices (GAP); media; water; and MRL testing. Whatever your requirements, we can advise, develop, train, and manage where needed. Our system and staff are meticulous and thorough. 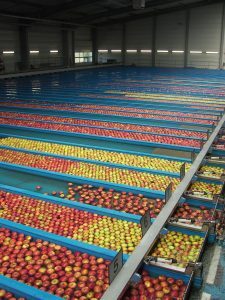 Working throughout many agriculture sectors (including Fruits, Vegetables, Berries and Greenhouses), we start with a complete pre-assessment of your facility’s goals and capabilities, potential market requirements, time-lines, costs and strategies for implementation. We finish when the audit scores are received or when the program is implemented. By working closely with other food safety and industry experts throughout the U.S. and abroad, we are able to keep our fingers on the pulse of change and prepare our clients for any emerging requirements.